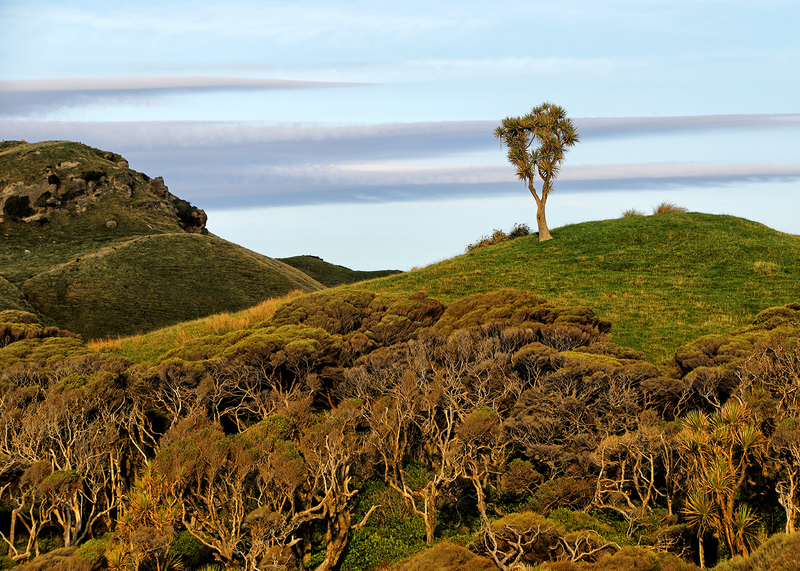 New Zealand is full of quirks and idiosyncrasies we hadn’t expected. Many of the bathroom sinks are comically tiny. At restaurants you always go up to the counter to pay instead of settling your bill at the table. Trash cans are surprisingly few and far between. Wi-Fi is slower and more limited than in many developing countries. Rural roads tend to be stressfully narrow, with a seemingly endless number of one-lane bridges. Roundabouts are more common than stoplights. And every new local we met somehow turned out to be friendlier and chattier than the last. But the biggest surprise of all? Sandflies. 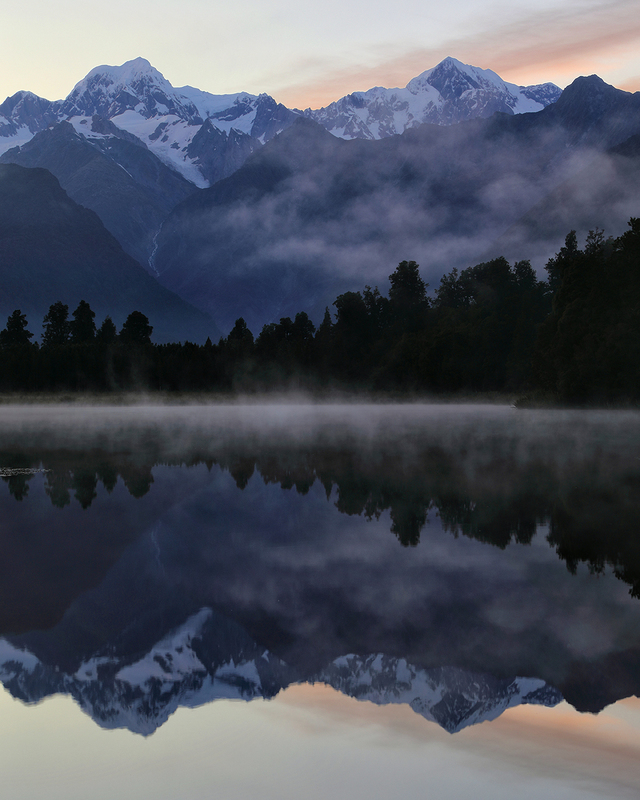 In hindsight, it makes perfect sense that a country as idyllic as New Zealand had to be harboring some kind of dirty little secret. 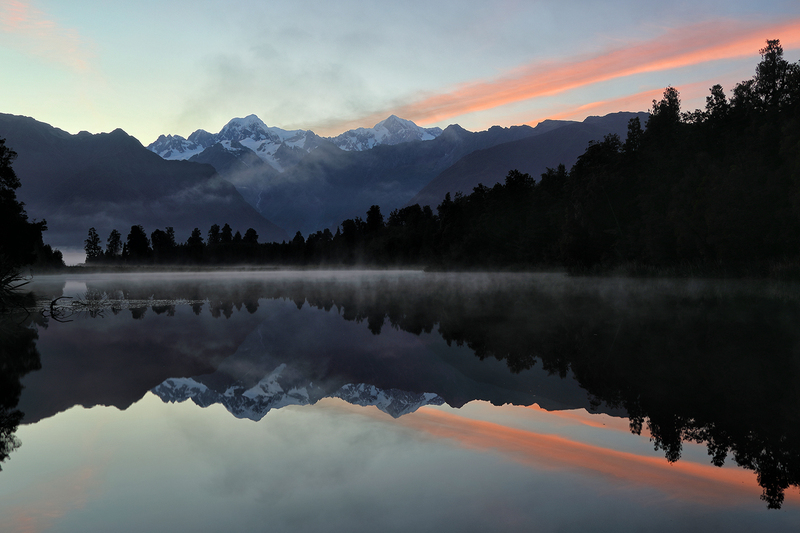 The sandfly assault began our first night on the South Island. 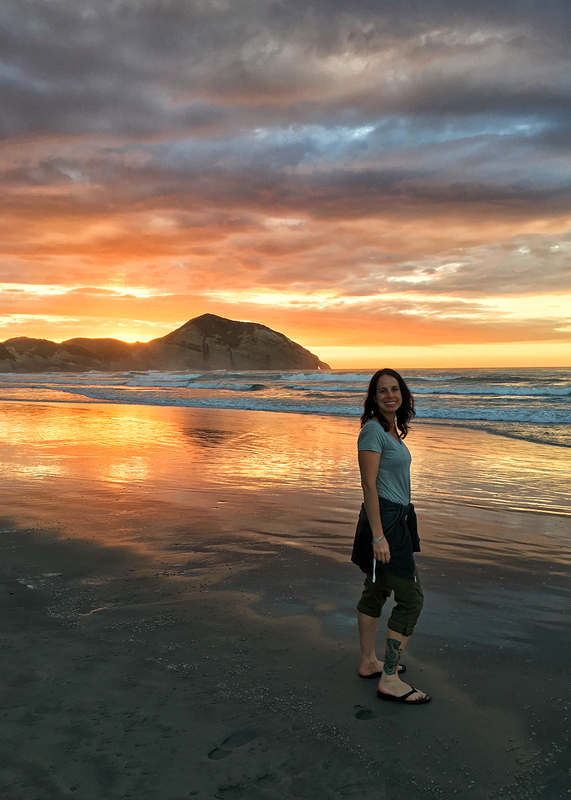 We’d driven our rickety old campervan from the Picton ferry terminal to Wharariki Beach, a beautiful stretch of pale gray sand on the relatively remote northern tip of the South Island, and we arrived just in time for a beautiful sunset. As I walked along on the beach taking photos I began to feel tiny stings around my ankles. Noticing little black flies silently circling my legs, I made a half-hearted effort to keep them at bay. “Something’s biting me,” Marie said soon after. 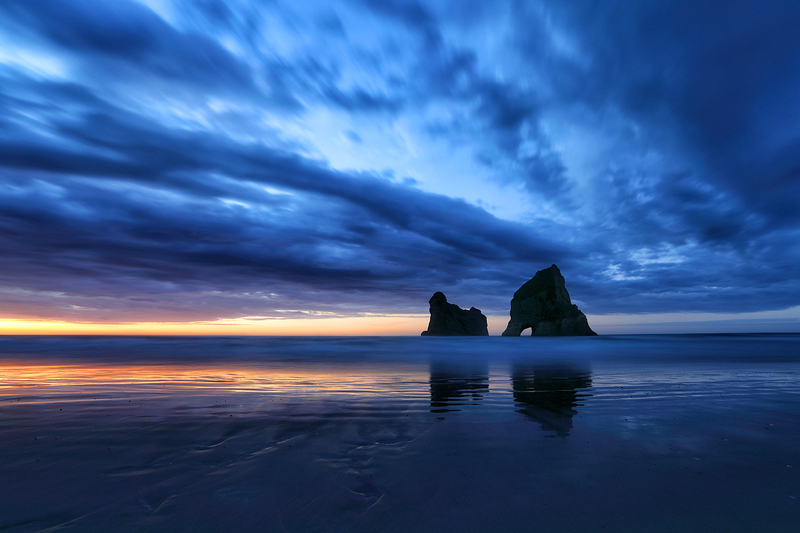 We didn’t think much of it that night, and Wharariki turned out to be one of our favorite spots in all of New Zealand. But the next morning small red dots appeared on our legs. And they itched. A lot. Normal mosquito bites don’t usually bother me, and I’m good about not scratching them. But the sandfly bites were exponentially itchier. It was impossible to leave them alone. 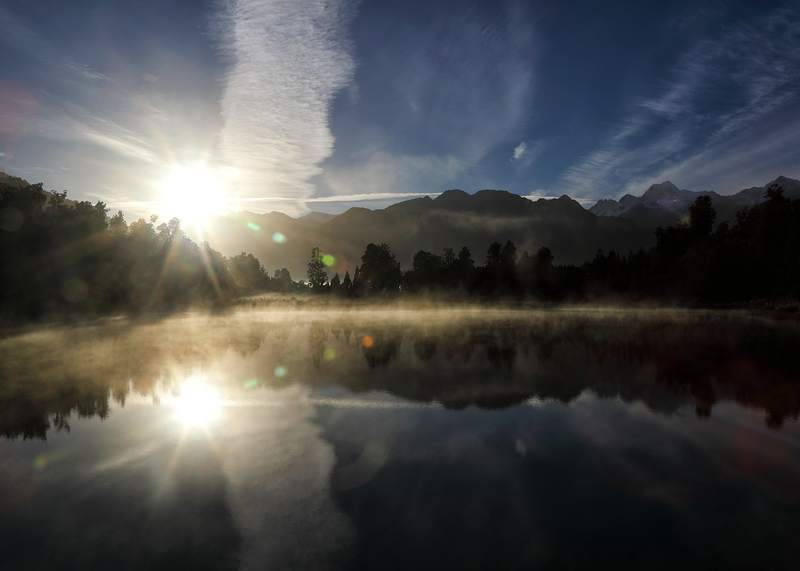 We soon learned that New Zealand sandflies – technically a species of black fly – are common on the South Island, and overseas visitors tend to be particularly sensitive to their bites. The locals have been terrorized for so long that they’ve built up some immunity. Foolishly I neglected to wear long pants when we made the short hike back to Wharariki Beach for sunrise, and the sandflies were happy to make me pay. 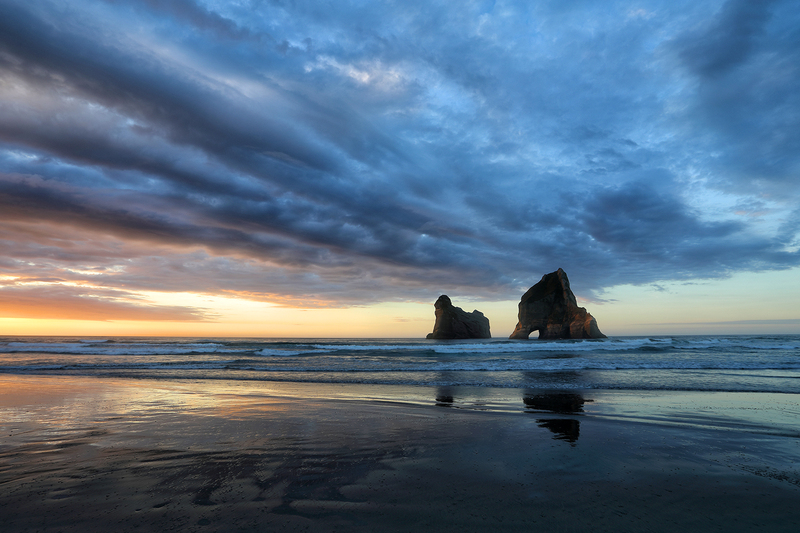 Driving and scratching, we made our way south from Wharariki Beach to Greymouth, where we stopped early for the luxury of an unplanned night in a hotel. We’d been going full-steam since leaving Auckland and I needed the break. Feeling recharged again the next morning, we headed inland to check out Arthur’s Pass and make the short hike to the Devil’s Punchbowl Waterfall. 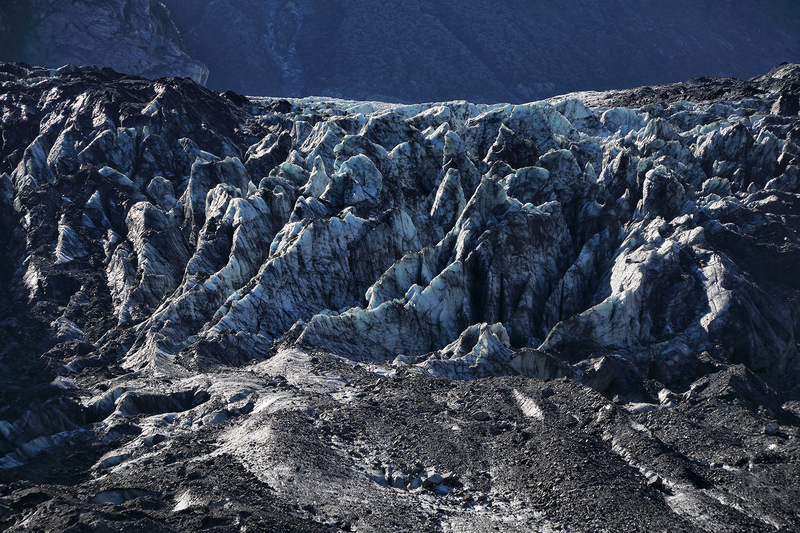 Later that morning we hiked to the glacier. 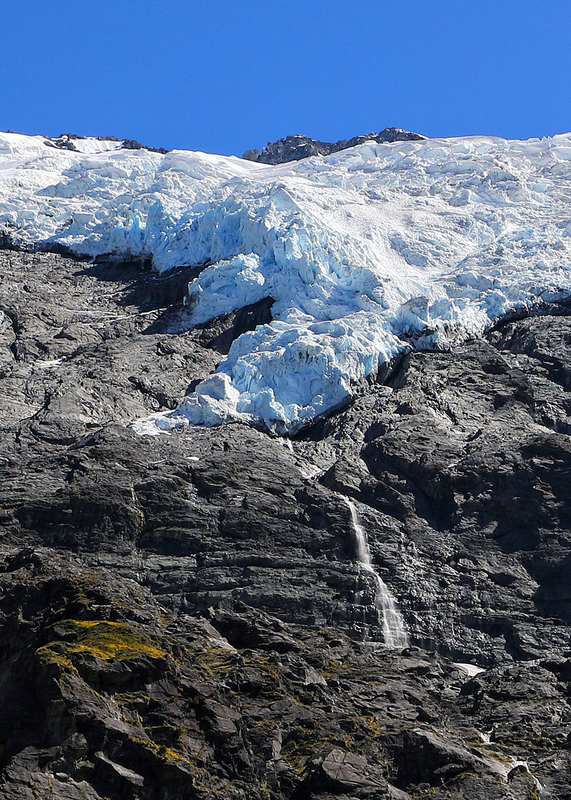 “It’s OK I guess, just a dirty glacier,” Michael’s housemate Andres had told us back in Wellington. 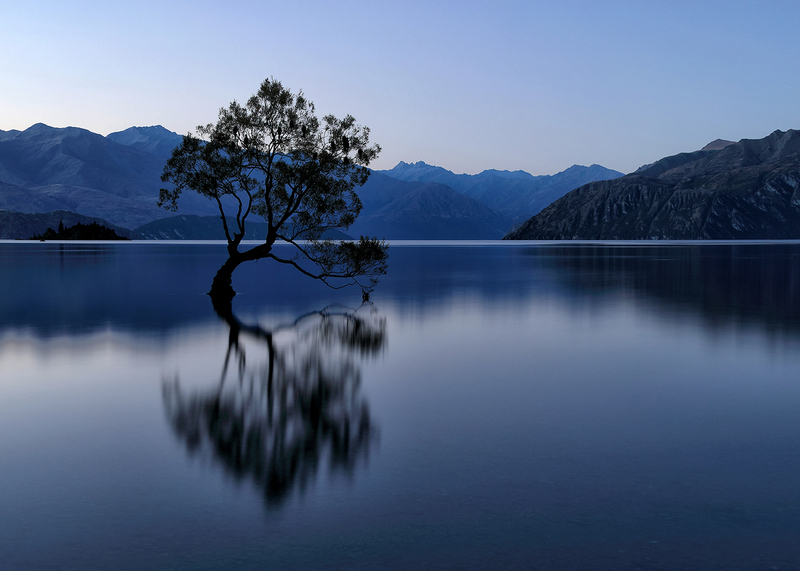 That night we stayed in Wanaka, a mid-sized city that’s home to what may be the most-photographed tree in New Zealand. 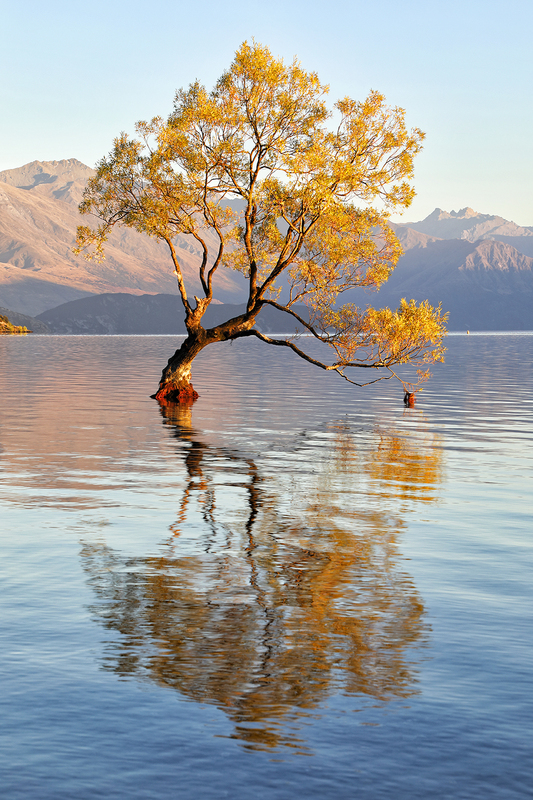 The lone willow, fully engulfed by the water of Roys Bay, does make for a nice shot. But I wasn’t lucky enough to get any colorful clouds at sunrise or sunset, and it wasn’t much fun to navigate a mob of other photographers while also fighting off the sandflies. 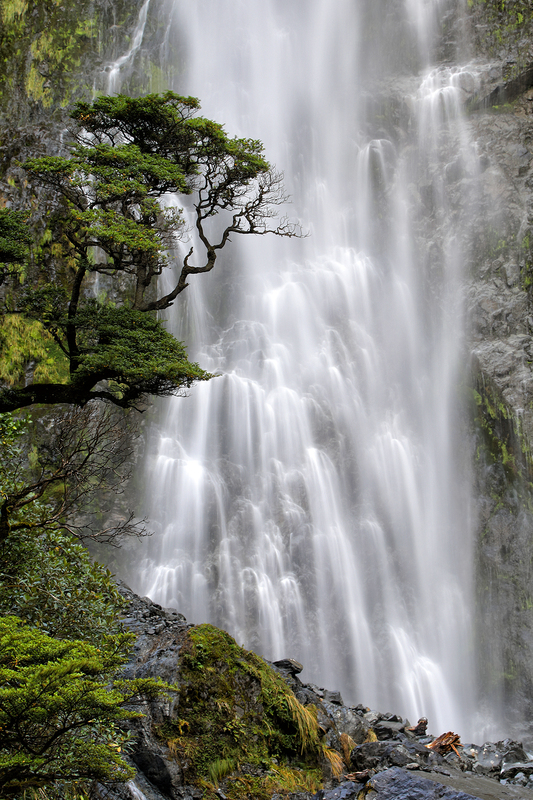 From Wanaka we made the short, scenic drive to Mount Aspiring National Park, where we hiked to the Rob Roy Glacier. 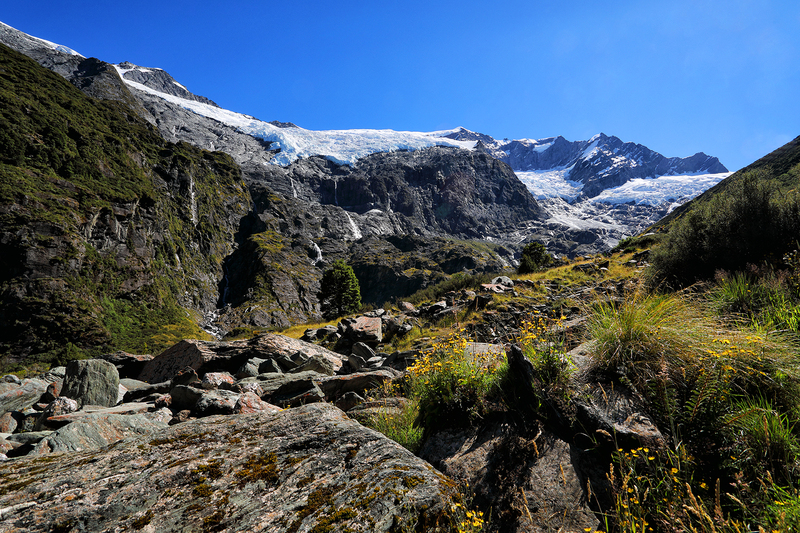 Mount Aspiring had the most dramatically beautiful landscape we’d seen up to that point of our visit, and I wished we’d had more time to explore. So far our geriatric campervan – the Loopabout, Marie named it, in honor of New Zealand’s ubiquitous roundabouts – was holding up fine. But it definitely didn’t inspire confidence. The Loopabout struggled so mightily to carry us up steep inclines that I felt a rush of relief whenever we reached a summit. And the engine had just started making a mysterious whirring noise, faint but ominous. 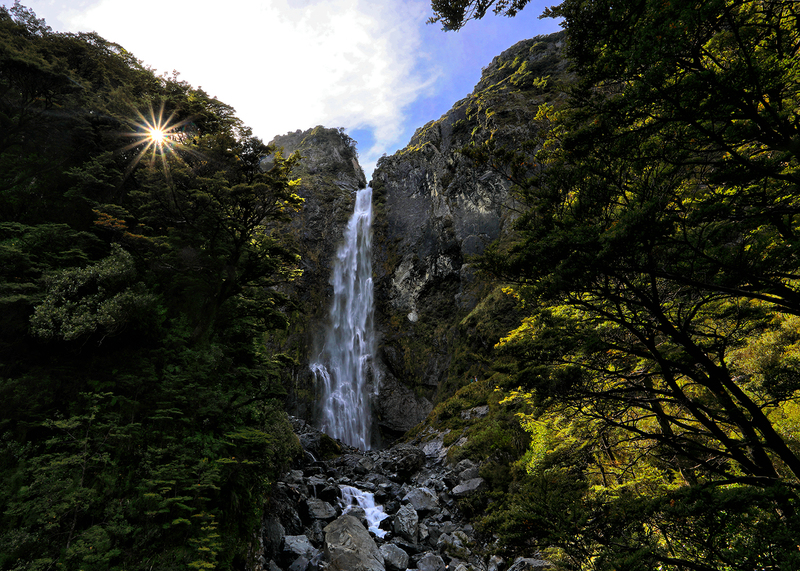 Marie and I hoped it would survive long enough for us to reach our drop-off point in Christchurch. 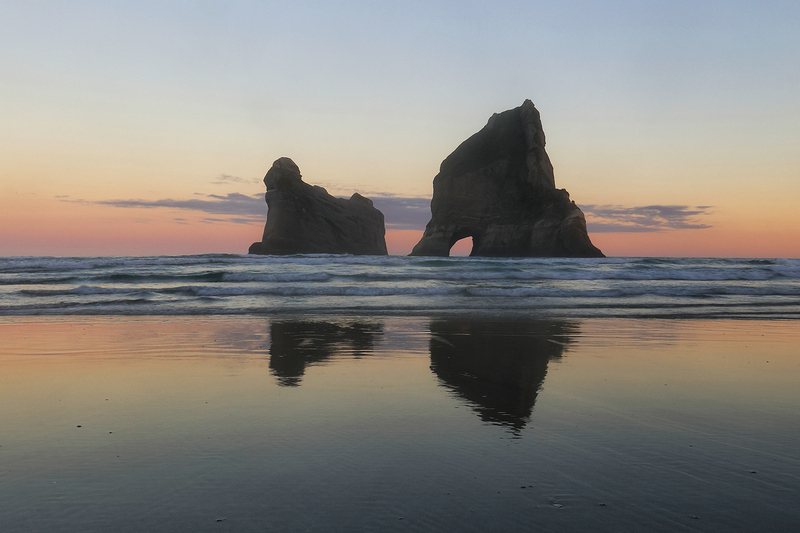 There was a rock called Elephant Rock that sadly lost its trunk in the Dec. 2016 NZ quake. 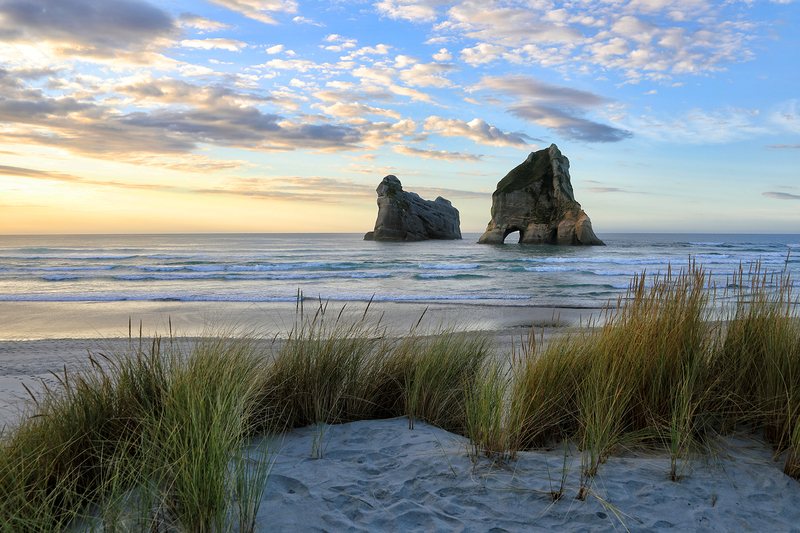 I really hope the rock on the right at Wharariki Beach becomes the new Elephant Rock because that’s just crazy.